Your body requires a steady supply of nutrients to function normally. Macronutrients are substances your body needs in large amounts, including carbohydrates, lipids and protein. 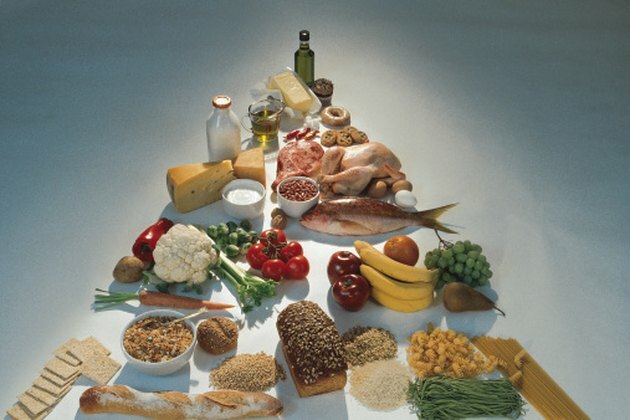 Carbohydrates and lipids, or fats, serve as the primary fuels and energy storage chemicals of your body. Although the metabolism of carbohydrates and lipids are interrelated, these macronutrients differ in several important ways. The caloric content of a macronutrient describes how much energy your cells generate when metabolizing the substance. Carbohydrates, including sugars and starches, provide your body with 4 calories of energy per gram. Lipids provide more than twice the number of calories of carbohydrates, yielding 9 calories of energy per gram. Carbohydrates dissolve in water and travel easily through your bloodstream and tissues. Lipids, however, do not dissolve in water. To overcome the problem of insolubility, lipids are coated with water-soluble proteins to form microscopic complexes called lipoproteins. Lipoproteins transport lipids via the bloodstream throughout your body. The digestion and absorption of carbohydrates and lipids occur via different mechanisms. Because carbohydrates are water-soluble, enzymes from your saliva, pancreas and small intestine act directly on sugars and starches in the foods you consume. The enzymes break down carbohydrates into simple sugars called monosaccharides, which pass into your bloodstream for distribution to your organs and tissues. Lipids require a more complex digestive process. Your liver produces bile, which the gallbladder releases into your small intestine after a meal. Bile breaks down large lipid globules into microscopic droplets, which are subsequently digested by enzymes from your pancreas. The lining cells of your small intestine absorb the digested fat particles and repackage them before entering your bloodstream, transported by carrier proteins. Providing energy for your organs and tissues is the primary function of dietary carbohydrates. Your cells absorb the sugar glucose with the assistance of the hormone insulin from your pancreas. Within your cells, glucose undergoes a series of chemical reactions that produce energy. Stored carbohydrates, known as glycogen, provide the sugar necessary to keep your body functioning normally between meals. Lipids have several important functions, including facilitating the absorption and distribution of fat-soluble vitamins; providing structural stability for your cells; and cushioning vital organs. When you eat more calories than you need, your body stores the excess calories as lipids in fat cells. Obesity is a physical manifestation of caloric intake that exceeds the energy utilized by the body. What Nutrients Can Be Absorbed Without Being Digested First?